This sleek black fourth generation TL has recently caught my eye as well as the attention of many others on AcuraZine. 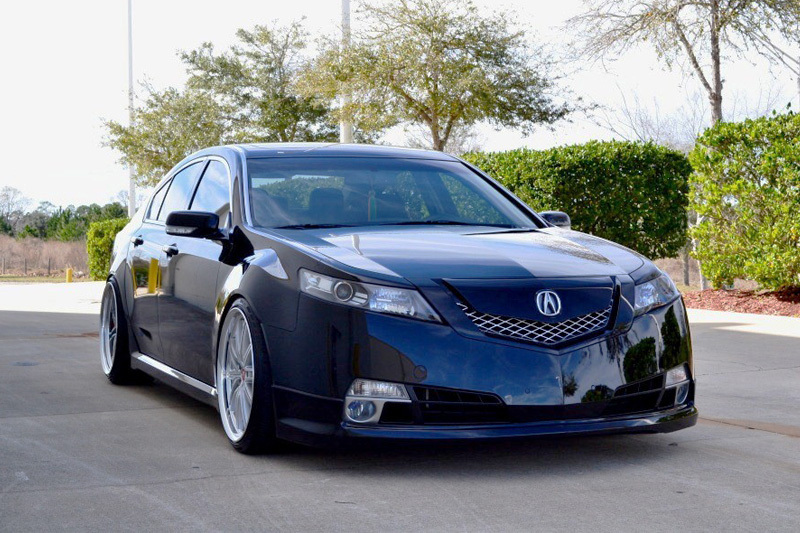 Cass’s 2010 Acura TL SH-AWD is a forum favorite for its long list of stylish exterior mods and performance upgrades. Enjoy a few photos below or visit AcuraZine for more on Cass’s TL. Damn that’s hot, nice and clean. What kit is that? Wow, now that is a sleek ride! Very nice! Too bad Acura front-ends are so damned ugly. Otherwise, they’re awesome in terms of performance / luxury for the price. But I just can’t get myself to buy any Acura because of that pecker face. You just paint the grille, or is it a replacement? Cass, I would love your opinion since I will be taking delivery of a preloved silver 2010 TL SH-AWD 6 MT in about 2 weeks from now. It will be my first Acura ever. I would like to soften the look of the beak/grille by possibly plasti-dipping or painting it to match ithe OEM silver finish. Good idea? What would you do black painted grille? thank you for your help. What kind of front lip is on there? Doesn’t look like OEM. Nice whip! So on the AWD TL’s you can run staggered rims without any issues like transmission problems or, lights on the dash? 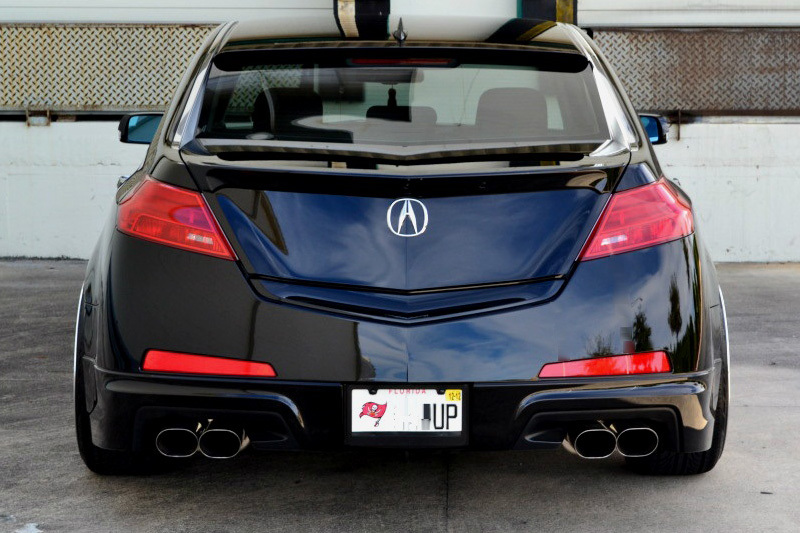 That acura TL is the baddest thing out there. I have to get one. My friend is going to beat me to the punch. Nothing can touch it. Anyone that does not agree has no taste.